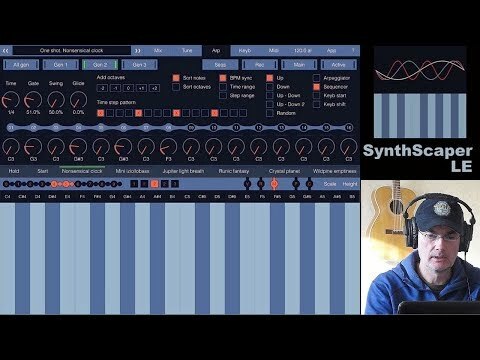 The realistic sound of famous reverb gears in your iPad and iPhone! More than 400 factory presets from 24 actual reverb devices. Includes a large built-in library of the highest quality reverb impulses taken from the most known and outstanding devices and possibility to upload your own impulses of reverb spaces. Intuitive and compact user interface for maximum ease and efficiency. More than 400 factory presets from 24 actual reverb devices. High-quality and fast convolution algorithm with 64 bit operations. Low latency for comfortable using at live performance. Wide range of reverberation types such as plates, springs, halls, rooms, etc. Preset hotkeys with possibility to save current sample and all its parameters. Convenient choice sample by device name, reverb type or in complete list. All processing parameters are stored for each sample. 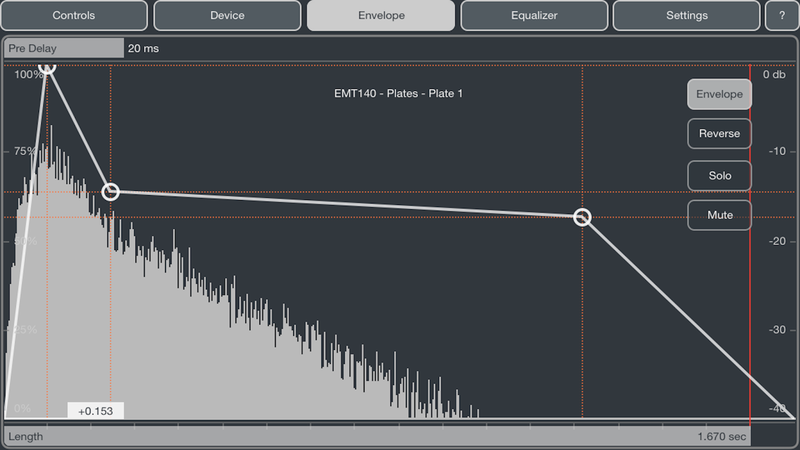 Pre/post parametric equalizer with cut-off filters. Possibility to construct the envelope (like ADSR) for device sample. Changing offset from beginning of sample (start time of sample). 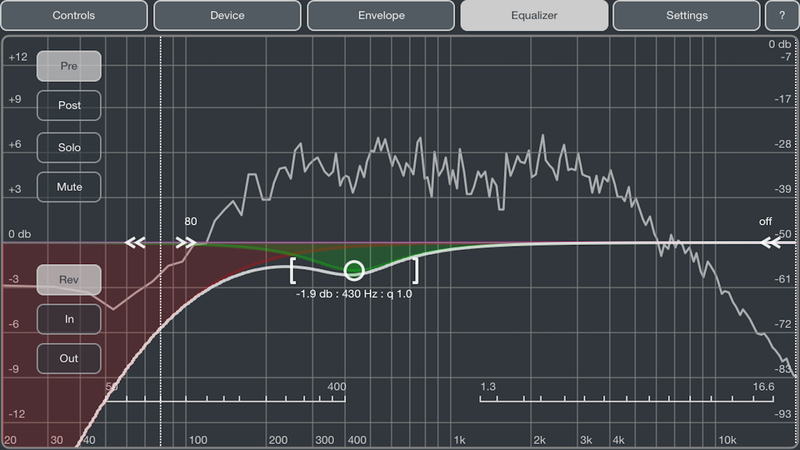 Adjusting stereo width and modulation for reverb output. Additional mode 'Reverb only output' for use with DAW and mixing consoles. Possibility to upload additional samples in different audio formats. Uploading samples thru Web access, audio clipboard, from another app or thru iTunes. 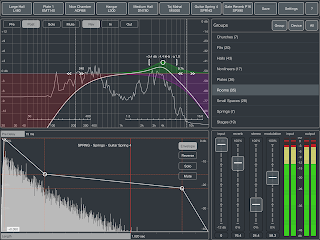 Detailed application description with an overview of famous reverb equipment. Supports Audiobus in Effect, Input or Output slots. Supports Audiobus "State Saving" feature. 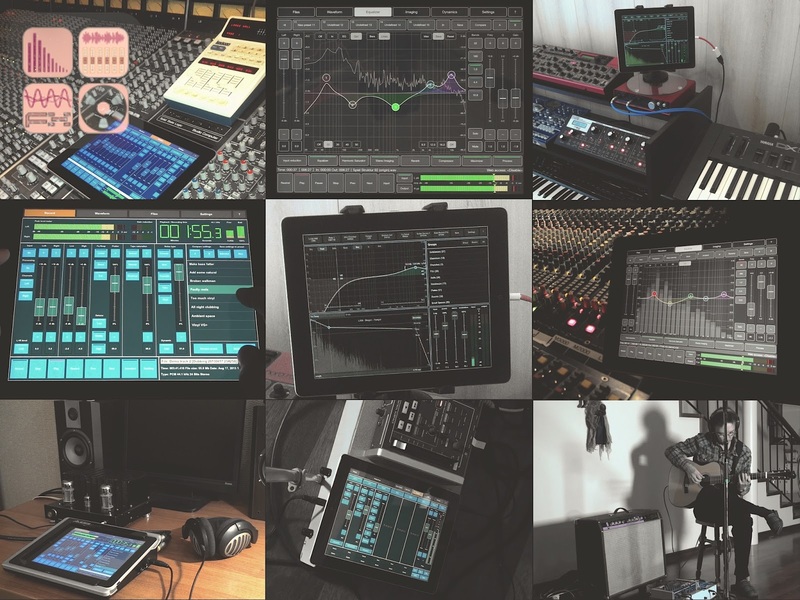 Third generation of iPad or fifth generation of iPhone and higher is recommended (especially with Inter-app audio and Audiobus). This composition was created from three layers recorded separately in real time. For each layer Korg Monotron was used for generating one sound, then FieldScaper app with different settings was used for processing source sound. First two layers were recorded on two track each (stereo) on Tascam Portastudio 424. For these layers FieldScaper was set to the Loop mode for work as effect processor. Third layer was recorded in real time at playback first two. Mixing made on Tascam Portastudio. Final record was made on Sony Walkman Professional WM-D6C. For third layer FieldScaper also work in Loop mode but the record in loop starts when signal appears. Then loop playback and process. Record starts when signal appears and stops by timer (in certain time). For processing sound were used several built-in presets with some modifications. 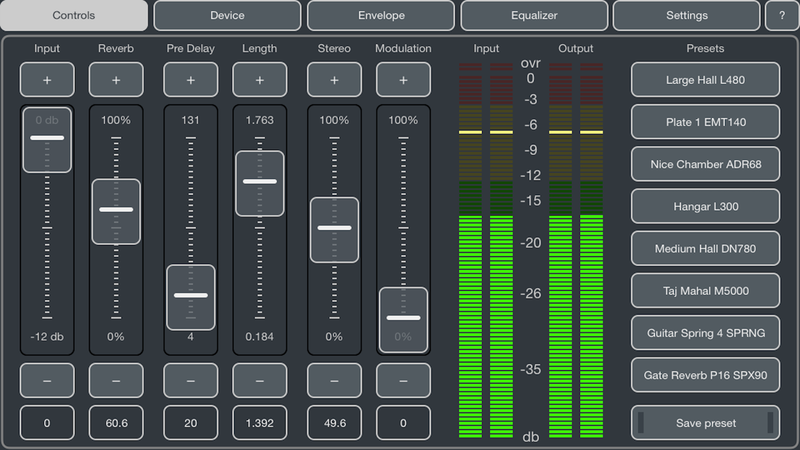 Sounds were captured and output by external audio interface connected to iPad - Focusrite Scarlett 6i6. For visual effects were used a great little device Quantum VJ from Alexander Zolotov. Author description - "Quantum VJ is a glitch-style 8-bit pendant and audio visualizer. Any audio source can be connected to this device through the jack plug (3.5mm). It also can visualize some electromagnetic interference and the "soul modulations" of the owner when the audio ports are not connected. There are nine display modes that can be switched by the button." 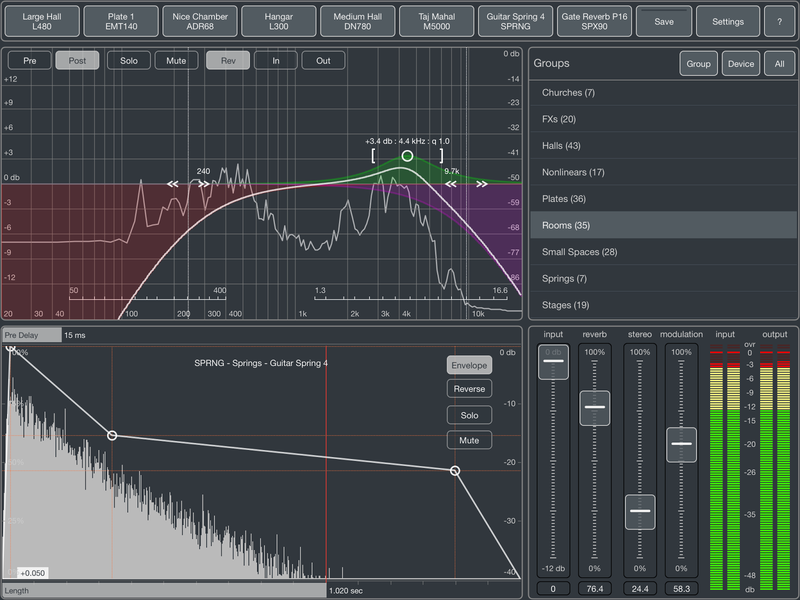 All Audio Mastering and Exiting Noise series apps on sale!